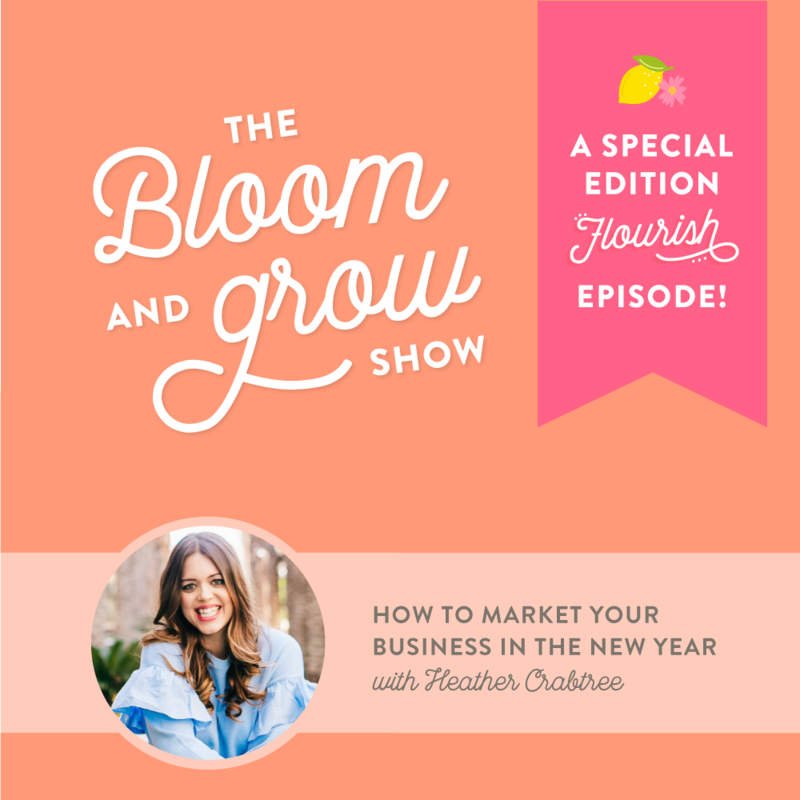 In this Special Edition Flourish episode I interview my friend and fellow mompreneur, Heather Crabtree. We discuss her Savvy Business Owners Group, why marketing campaigns can fail and what to learn from it, as well as her brand’s greatest strength. She also shares a great tip about graphics for beginners. We end our interview with some advice for fellow mompreneurs just starting off on this wild, but rewarding journey. The importance of time management and preparation before a launch, you always need more time than you think. How focusing on only one product or campaign per month can lead to more consistency within the brand, which in turns builds more trust with the customer. A great tip for how to easily resize graphics across all platforms. Why trying to imitate all the other mompreneurs is not best idea and how going your own way can lead to more success and happiness. The value in having people that not only support you and your business, but also are willing to call you out when necessary. Heather's daughter London had pediatric cancer and is doing really well. Recently they received the news that there is No Evidence of Disease (NED) after 18 months of treatment! You can follow along at London's Love Bugs.